Looking for the most adventurous things to do in Philippines? When there are over 7,000 islands to choose from, it can be hard to decide what are the best things to do in the Philippines… Picture perfect beaches, luscious nature and incredible wildlife for you to explore. Go canyoning at Kawasan Falls, surf the Philippines, scuba dive wrecks and snorkel pristine coral reefs. Take a boat ride through the largest underground river in the world or, go on an epic mountain bike ride. These are some of the best things to do in Philippines! Palawan! One of the best things to do in Philippines is visiting Palawan. 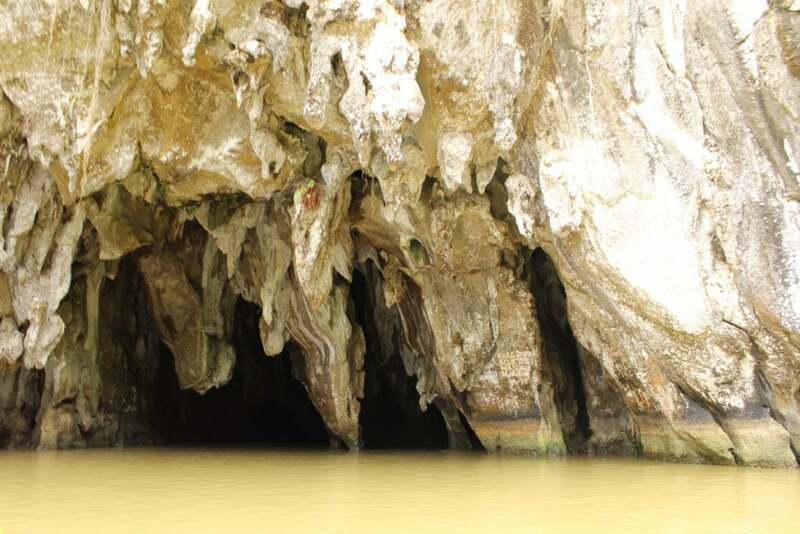 For many reasons… One being the Puerto Princesa Subterranean River, National Park. This is the new 7th wonder and is the largest underground river in the world! Your Philippines adventure will begin with an incredible boat ride from Sabang to the Puerto Princesa Underground River. You’ll be surrounded by crystal clear ocean and pass by many stunning rock formations on your way to the national park. It’s no wonder the Puerto Princessa Underground River is one of the top things to do in Philippines! Access to the underground river is framed by ancient trees growing right to the edge of the water at the mouth of the cave. The Underground River travels 8.2km deep underground, through the surrounding mountains that you see on your drive into Sabang. The river opens up into several massive underground caves, with the most intricate limestone stalactites and stalagmites we’ve ever encountered. At 1.5km inside you hit the twilight zone, where there are tons of bats and other creatures who have never ever been exposed to sunlight. The biodiversity inside the Underground River dates back 1000’s of years and has many species that have evolved over the years. If you are looking for adventurous things to do in Philippines, look no further than the Puerto Princesa Underground River. Boracay should be on your list of places to go in the Philippines. A trip to Boracay isn’t complete without an epic adventure to Ariels Point! Ariels point is without a doubt one of the best things to do in Boracay! It’s also one of the best things to do in Philippines… And for a good reason! This full-day adventure in the Philippines includes your boat ride to Ariel’s Point, where you have a never-ending supply of rum, BBQ buffet lunch and the best outdoor adventures in the Philippines. Some of the best things to do in Boracay Philippines are kayaking, snorkelling and paddle boarding. 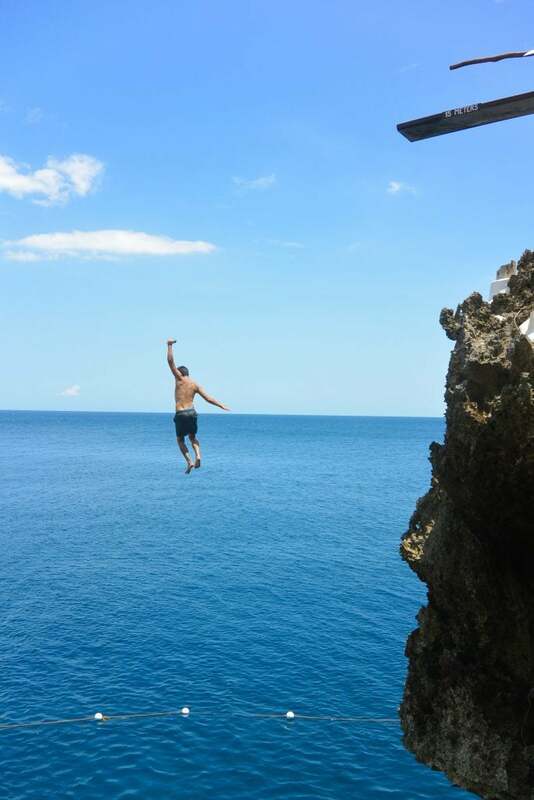 You can do all this here and enjoy the best cliff jumping in South East Asia! You can cliff jump at Ariel’s Point from the 5m, 8m or 15m platform. The view from Ariel’s Point Boracay is incredible, the water is crystal clear and you can see the ocean for days. Ariel’s Point is one of the best things to do in Boracay Philippines! We went with twenty of our best mates and had a ripper of a time. A few injuries and a few naked people, but we all managed to make it back alive! 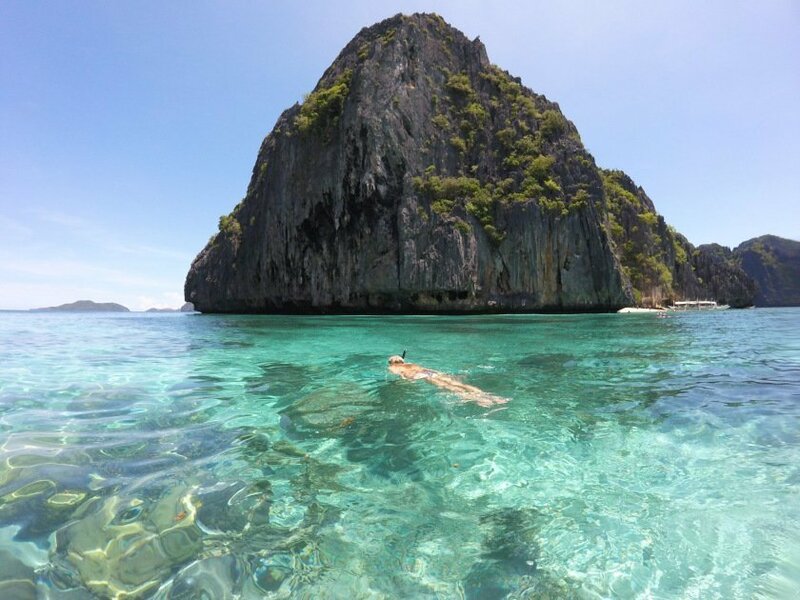 Snorkelling in Coron is one of the top things to do in Philippines for travellers! A trip to the Philippines wouldn’t be complete without snorkelling the pristine waters around Coron Island. Coron is famous for its incredible dive spots with many wrecks and immaculate coral reefs around the island. 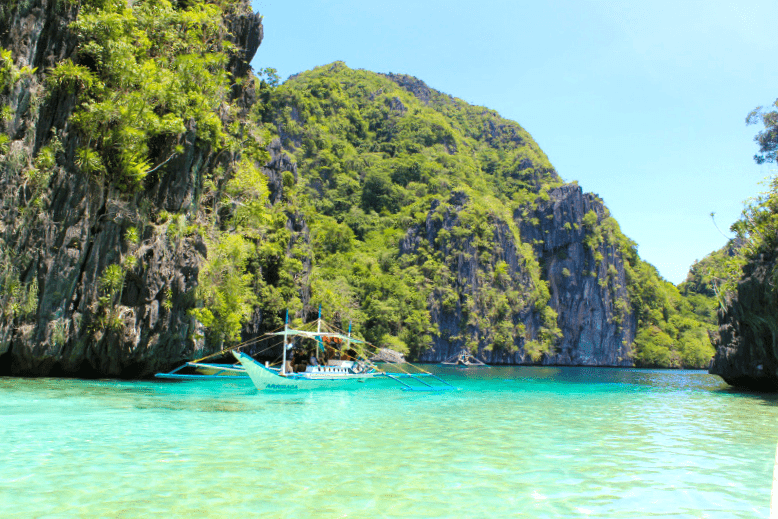 Make sure you take this epic full day tour of Coron to see everything the island has to offer, its one of the best things to do in the Philippines. Why not have a Philippines adventure and scuba dive WW2 wrecks like the Okikawa Mary Japan oil ship that sits 26m below the surface. Perhaps scuba diving isn’t your thing, so maybe snorkelling is? There are some killer snorkelling spots and reefs all around Coron. Visit the Iusong coral garden, Siete Picados, Coral Eden and Kayangan for the best snorkelling spots in Coron. Make sure you stop into Twin Lagoons and Calachuchi beach while you’re here, it’s one of the best things to do in the Philippines. Bohol is one island that you have to include in your itinerary, as it’s one of the best things to do in the Philippines. Hike through the lush jungle at Tarsier National Park through the Bilar Manmade forest and Tarsier sanctuary. Cruise along the Loboc River, chase butterflies at the sanctuary and discover the famous Bohol Chocolate Hills. Soak up some sun on this tropical island paradise at one of the beautiful Bohol beaches. If you’re looking for things to do in Philippines and you’re around Cebu, Bohol should be top of your list! We recommend booking your Bohol day tour through the ethical travel company Backstreet Academy. They believe that profit-making and social impacts go hand-in-hand. 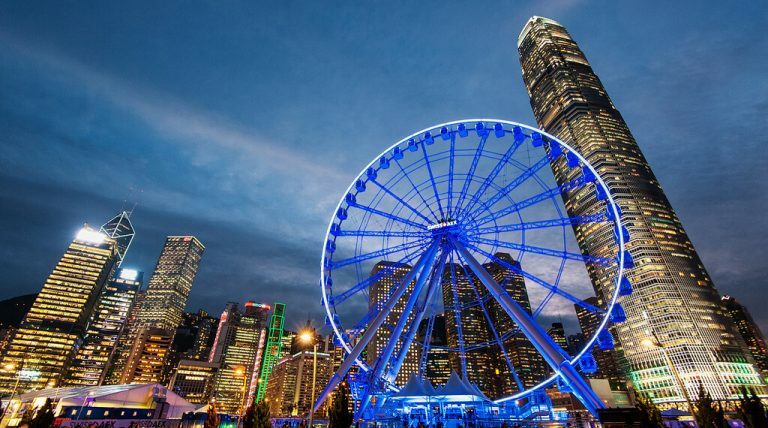 They connect local Filipino hosts with tourists creating a positive impact while giving travellers an authentic Filipino experience. Make sure you visit Bohol, it’s one of the top things to do in Cebu City, Philippines. One of our favourite things to do in the Philippines was diving with Whale Sharks in Donsol! Donsol is famous for their unique Whale Shark encounters! It’s one of the few places in the world where you can actually swim alongside the Whale Sharks in their natural environment. Whale Sharks flock to Donsol due to the high concentration levels of plankton and krill in the water, making it a feeding ground for these beautiful animals. It’s one of the most epic and memorable things to do in the Philippines. Whale Shark season typically starts around November and ends in May. 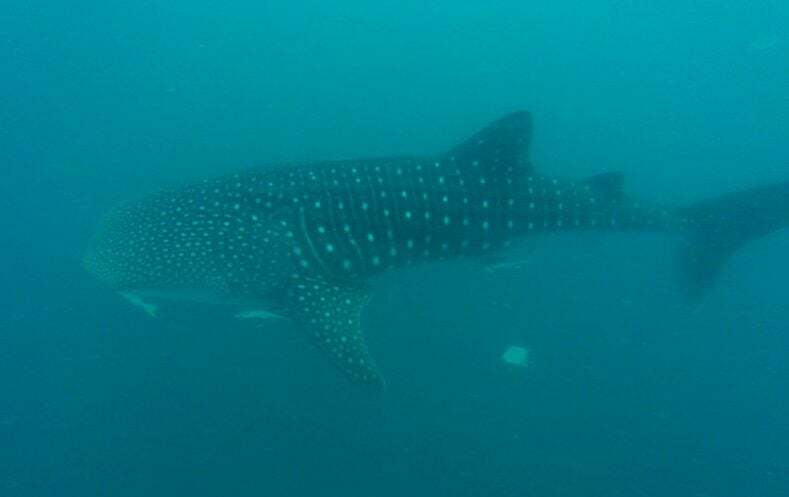 We were lucky enough to see Whale Sharks at the back end of May (May 26th), just before the season ended. It was truly the most magical experience throughout our Philippines travels, swimming alongside the biggest fish in the ocean which can be as large as 18m! If you’re looking for things to do in Legazpi city Philippines, definitely head to Donsol to swim with the Whale Sharks! We chose to see Whale Sharks here in Donsol over Cebu, as they’re wild and in their natural habitat. According to the Filipino locals, there are 2 or 3 Whale Sharks that live around Cebu year round and they don’t migrate as humans feed them. We did our research and opted for the more ethical interaction in Donsol, read why you shouldn’t swim with the whale sharks in Cebu. Not too many adventures in the Philippines can top canyoning at Kawasan falls! Kawasan Falls is one of the best things to do in Cebu Philippines! 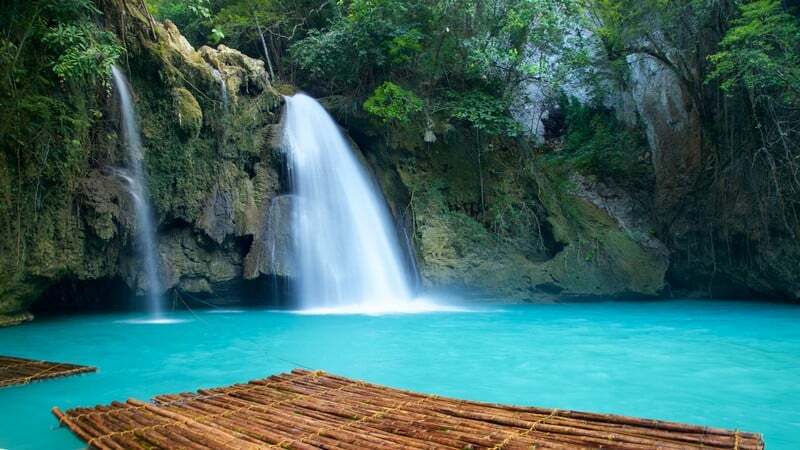 Kawasan Falls is Cebu’s best waterfalls and probably the most famous waterfall in the Philippines. Located in Badian, just an hour from Cebu City is this awesome adventure in the Philippines. Go on a canyoning tour to Kawasan Falls or discover it yourself! It’s such a tranquil walk uphill for 2km to reach Kawasan falls where you can cliff jump, go canyoning or simply swim in perfect, turquoise waters. You’re sure to enjoy Kawasan Falls, one of the best things to do in the Philippines! If you’re heading to the island of Cebu on your Philippines surf trip, definitely check out Lanuza and Siquijor it’s one of the most adventurous things to do in the Philippines. The breaks here are perfect for beginners to professionals, with long right-hander waves that roll through the bottom of the river mouth and barreling reefs breaks around the Lanuza Bay. Lanuza’s waves are comparable to the famous Cloud 9 in Siquijor, with eye-catching waves rolling through consistently between November and March. So if you’re looking for the best things to do in Siquijor and Lanuza, definitely give surfing a crack! Backpackers looking for an introduction into surfing and Filipino culture should out this epic 6-day surf camp with our local mate Lionel. It’s the perfect combination of surfing, travelling and living the local way of life, it’s no wonder it’s one of the best things to do in the Philippines. Lionel shares his passion for surfing, travel, community development, and care for our Natural Environment. Not only will you get surf coaching and tips, you can also enjoy other activities as well. Such as; going to the public market, having lunch on the beach, cooking using a wood fire, getting fresh coconuts, eating at local eateries, and visiting other natural sights. Lanuza is a perfect location for a laid-back surf trip with your friends with some of the best surf breaks in the Philippines. Check out the epic breaks, Doot Poktoy, Punta and Sitio Badiang, it’s one of the most adventurous things to do in the Philippines. Stay at the Lanuza greenroomz surf house it’s located close to where they hold the Lanuza Surfing Festival each November. One of the most adventurous things to do in the Philippines is an island hopping tour! There are four different El Nido island hopping tours you can choose from, however, tour A and tour C are by far the best. Check out the secret lagoon in El Nido, it’s one of the best things to do in El Nido. This epic island hopping tour also stops at the big and small lagoon where you can swim, snorkel and kayak around. 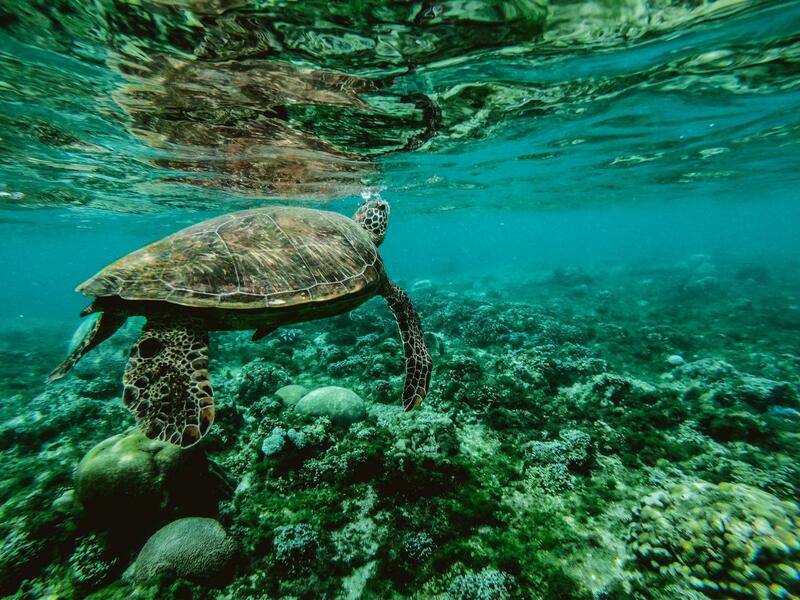 You can see turtles, clown fish, parrot fish and tons of other tropical sea life while snorkelling in El Nido. Lunch is caught, cooked and served from the boat and consists of an array of seafood, vegetables, rice and fresh fruit. Shimizu Island and 7 Commando Beach is the last stop of the day. Here you can swim in the sea, sunbathe and sip on fresh coconuts. Everyone on the tour was slightly intoxicated and all friends by the end of it. We had a great day getting day drunk, frolicking in the sea and island hopping, it was one of the best things to do in El Nido, Palawan! You’d rather not think about all of the things that might go wrong on your Philippines honeymoon. Unfortunately these things can and do happen. We like to think of travel insurance as a safety net, as it’s saved our butts big time on more than one occasion. We had our bags stolen with passports, cameras and a decent chunk of money. Thanks to travel insurance we were able to replace these valuable items. I fell ill in Cambodia and had to spend a week in the hospital, which racked up a huge debt. 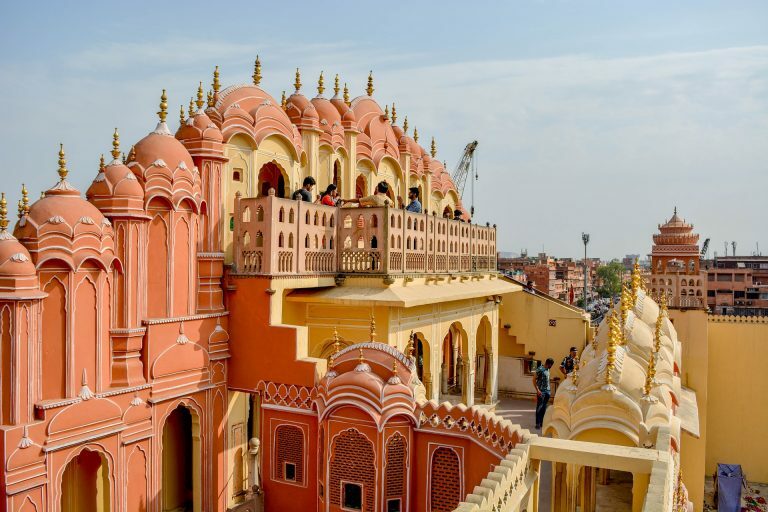 Without travel insurance, we would have been in thousands of dollars of debt. It’s not worth the risk to travel without insurance! Keep your mind of ease on your Philipines honeymoon by travelling smarter and safer with World Nomads travel insurance. 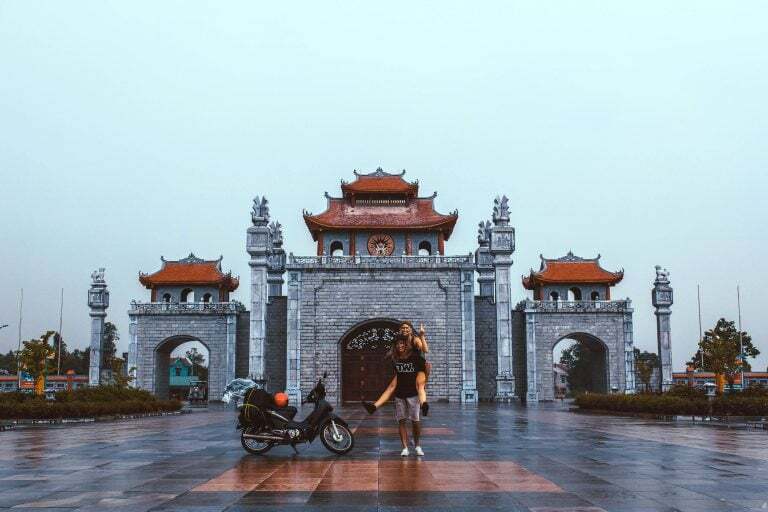 These guys are the best in the business with affordable coverage for you and your lover on your Philippines honeymoon travels.